This collection of Celtic jewellery is one story of the history of the people of North-Western Europe, and how their lives were shaped by religion, trade and art. 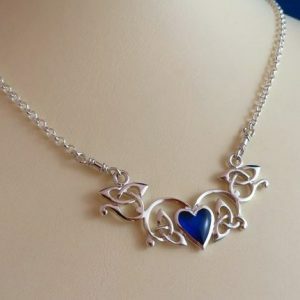 This jewellery is ethically produced in Australia, handmade and hand-finished by the Celtic Artisan, Desmond Mackenzie-Harris. 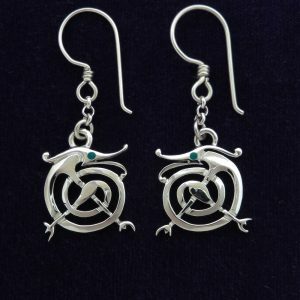 All pieces are made from Australian sterling silver and gold. 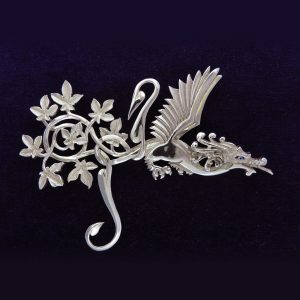 The designs are derived from Celtic, Viking, Pictish and Saxon artefacts and relics from the Bronze Age to the Medieval. Inspiration is drawn from the Book of Kells, Book of Lindisfarne and Book of Durrow, and even from the Celtic revival style of Art Nouveau. In appreciation of his adoptive home, Desmond has also created some Australian wildlife originals.